From World at War to Black Ops 4 – and all the DLC’s in between – here are the maps that I want to see in Blackout. 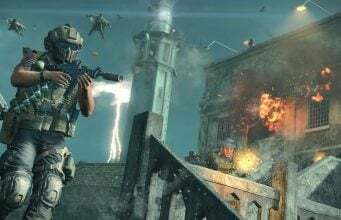 Since the launch of Blackout, Treyarch has expressed interest in making changes to the existing map. They demonstrated their ability to do so at the start of Operation Absolute Zero in December with the addition of Hijacked in the north west, and some new foliage. This had me thinking. What other maps from Treyarch’s past would work in this battle royale mode? As it stands, there are some remaining portions of the map that are quite baron and a little uninspired. With six Call of Duty titles worth of content to pull from, I started to envision what a “fuller” map would look like. Of course, adding ALL of my suggestions would make the map a little too crowded and chaotic (empty spaces still have a place in a battle royale after all), but I think adding at least a couple of these maps would bring tons of life and variety to the Blackout experience. Working chronologically, I’m starting with World at War. While Treyarch’s first original Call of Duty game was Call of Duty 3, I’m picking maps from the Black Ops canon that originated with Reznov back in 2008. Makin Day: The original Makin was such a popular map, they released a daytime version of it completely free. Being a coastal map, parts of Makin could be placed on the beach by Construction Site and Hijacked. Right now, the only thing on that beach is a bunch of bathrooms and lifeguard huts, all with really weak loot. Adding the Japanese temples and foliage from Makin Day would make the beach a more desirable location to drop. An alternate location for this map would be east of Train Station at the tip of the small island in the river. 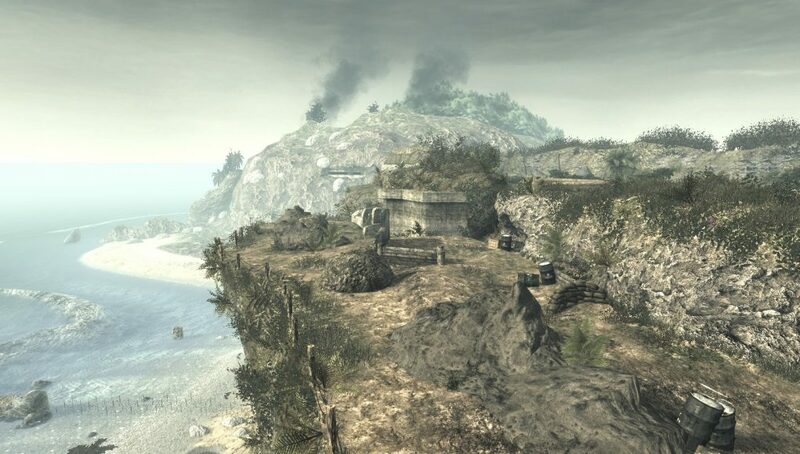 Cliffside: Continuing the theme of waterside World at War maps, Cliffside would work very well at the north west of the map far north of Construction Site. The way I could see it working is by replacing the ground level beach with this high altitude cliff. This could create some tension when running into firefights this high up. A flight or fight moment – do you defend your position and push or jump off the cliff and redeploy your wingsuit to safety? The forefather of Zombies. Nacht has appeared in WaW, BO1, BO2 (Tranzit), and BO3. Nacht Der Untoten: The Zombie map that started it all, and has been through it all. 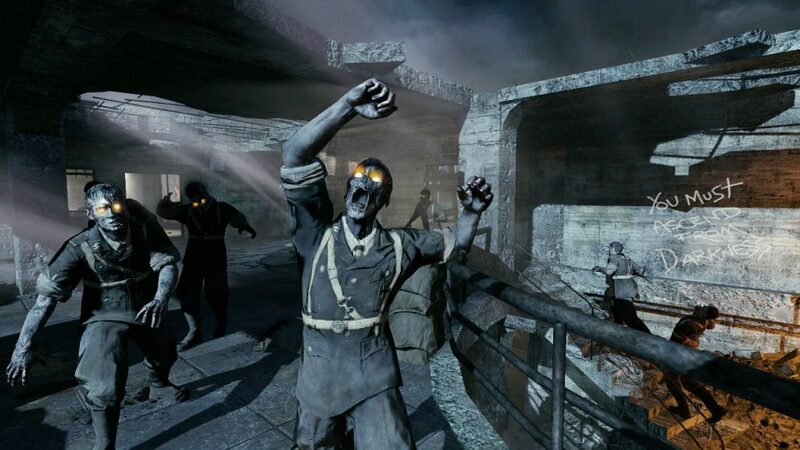 Featured in every Treyarch Call of Duty in some capacity, Nacht has yet to make an appearance in BO4. Blackout would be a great fit for this two story building because of its compact size and geometric layout. It already resembles some of the more basic houses on the map, so throwing it somewhere north of Firing Range and south of Estates would work really well. This would also give a more balanced split of Zombies locations on the map, as the north west quadrant of the map doesn’t have much undead. 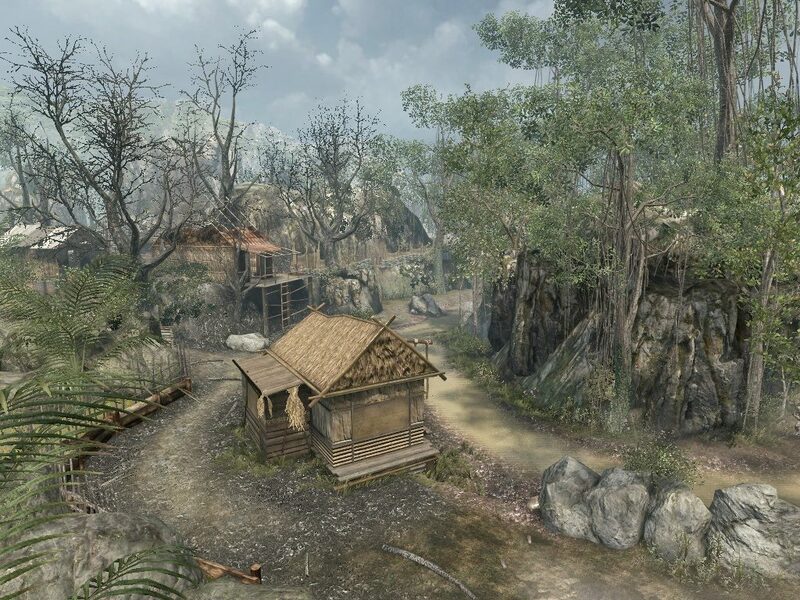 Jungle: This map already found its way into Black Ops 4 through multiplayer, but I think it’s time we see it in Blackout. 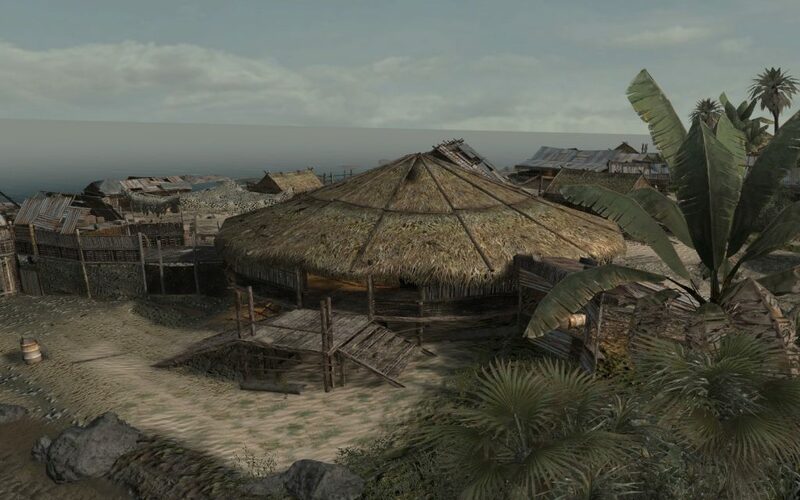 Because Jungle consists of a sandy-grassy environment, it would fit perfectly in the south of the map between Lighthouse and Factory around the transition from green fields to desert wasteland. 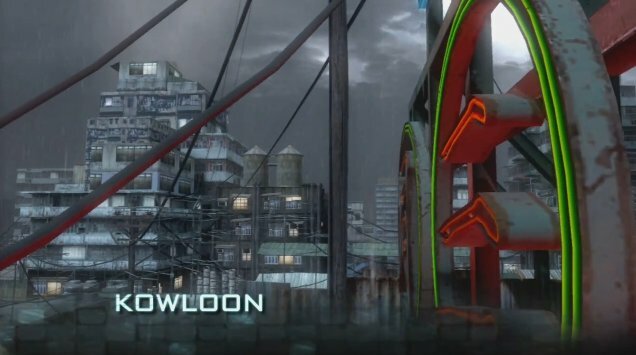 Kowloon: DLC maps like Hyrdo have already shown up in Blackout, so it wouldn’t be a surprise to see this Black Ops 1 DLC map make an appearance. Although the main draw of Kowloon is it’s dense city rooftops, a smaller version of the map could show up south of Turbine to flesh out that area. As long as they bring the Zipline with it, this will surely be a fun area to play quads in. Close quarters combat in a cheesy 50’s sci-fi Drive-In? Yes, please! Drive-In: No, I’m not taking shots at Risky Reels from Fortnite, Drive-In is just one wildly overlooked map. 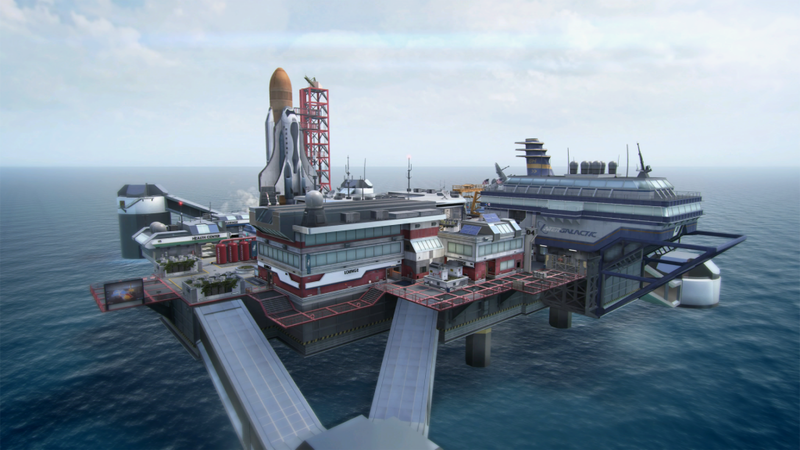 One of Black Ops 1 later DLC maps, this close quarters map evokes Nuketown in it’s size and would sit nicely alongside it on Nuketown Island. While I think it’s cool Nuketown now has it’s own island, it wouldn’t hurt to spice it up a little bit with some movie theater action. Mirage: If the rest of these suggestions fall on deaf ears, I hope this one is heard. The south east portion of the Blackout map is empty. Period. Mirage is a luxury resort in the Gobi Desert and fits PERFECTLY in this empty area. 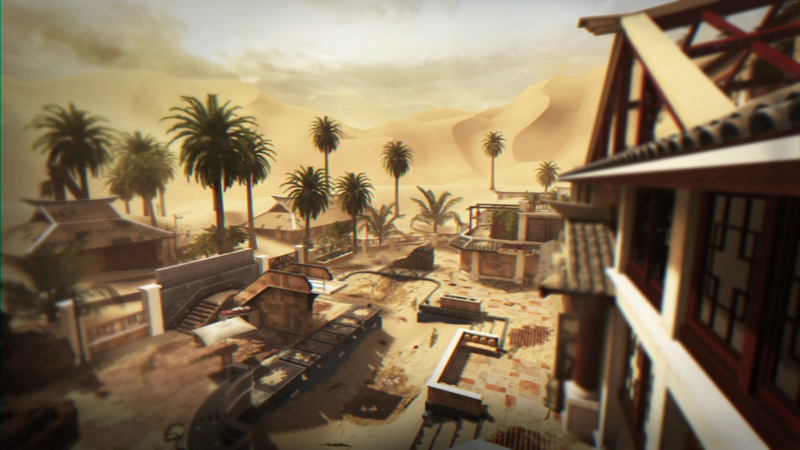 Both in design and layout, Mirage could be a sweet spot for loot and even incorporate elements from other Treyarch desert maps. Take out all the windmills, they’re not doing much anyways. If Construction Site ever becomes an actual building, here’s hoping it looks like Vertigo. Vertigo: Now this actually comes from an idea I saw a while ago on Reddit. What if the Construction Site was slowly building something over time? 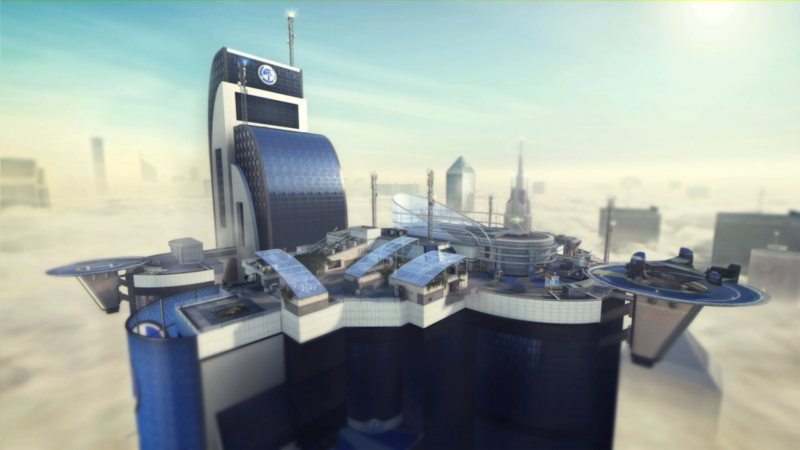 How cool would it be if eventually it turned into Vertigo from BO2’s DLC. This futuristic industrial building would serve as a pristine version of the incomplete building we play on today. Boats could play a more crucial role in Blackout with more areas like Takeoff. Takeoff: Don’t worry if this map has you scratching your head. 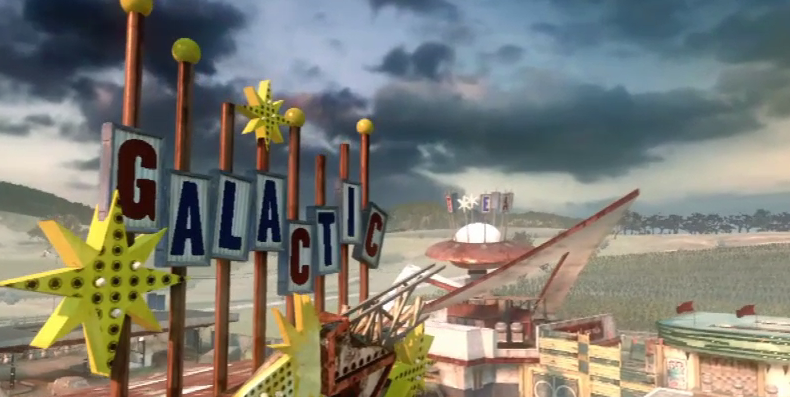 As a BO2 DLC map that was a remake of a BO1 DLC map, I wouldn’t be surprised if you forgot this one. 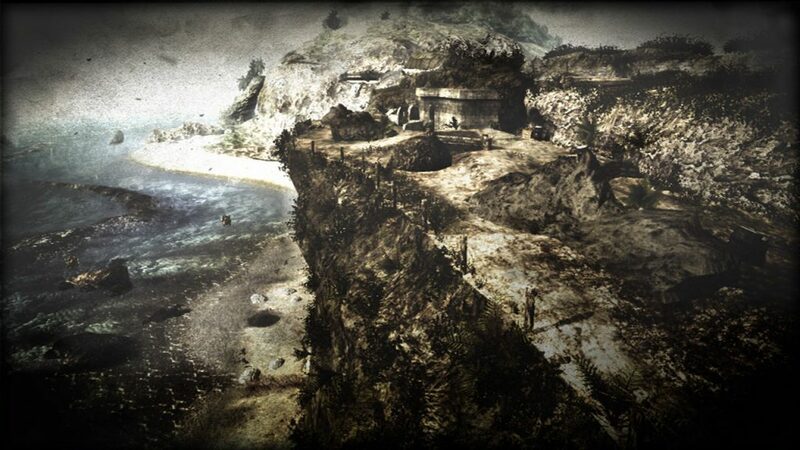 However, as a mid-sized map this launch site would be a great addition to any empty body of water in Blackout. It could fit in the far north east of Hydro Dam, giving players a reason to head back there, or even south of Hijacked to give players more naval battles in Blackout. While any new locations would be a welcome change to Blackout, I think these maps shine brighter than the others. But this is just my opinion, let me know which maps you would like to see make their return through Blackout in the comments below!